i’ve tried this on a simpler wall and it worked ok, can’t think what’s different on this one aside from it being taller and having the Constraint things to make just the top level fracture. the middle part doesn’t really move so it’s odd that it’s that bit that’s getting mesed up. Could you please provide this exact blend file ? Its just that it takes very long for me to experiment and to guess what steps you might have taken so far. I would really need to see that blend in order to check it for possible errors in setup or in the code / blender. Additionally i might need it to debug blender and test what exactly happens when you do certain stuff with this blend. Yay! Albin MERLE finished the Fracture Modifier plane crash tutorial! Merci beaucoup Albin! I’m having an issue with the grid type fracturing. There are some sort of “panels” attached to my blocks. I’ve tried a couple of things but I can’t get it to work. Can someone help me? Will there be a build for the blender 2.8? Not yet but in the future. I have Linux builds already in testing, but those are not yet featurecomplete, neither has B 2.8 some mandatory caching techniques yet available in api. Also the helper addon is not yet ported. NOTE: above post by carmatic was answered in our IRC channel. So this is a good reminder, you can also contact us via real time IRC on freenode.net / #blenderfracture channel. If you don’t do IRC or have a client you can use their web browser based client at webchat.freenode.net. Hello, looking for some help! 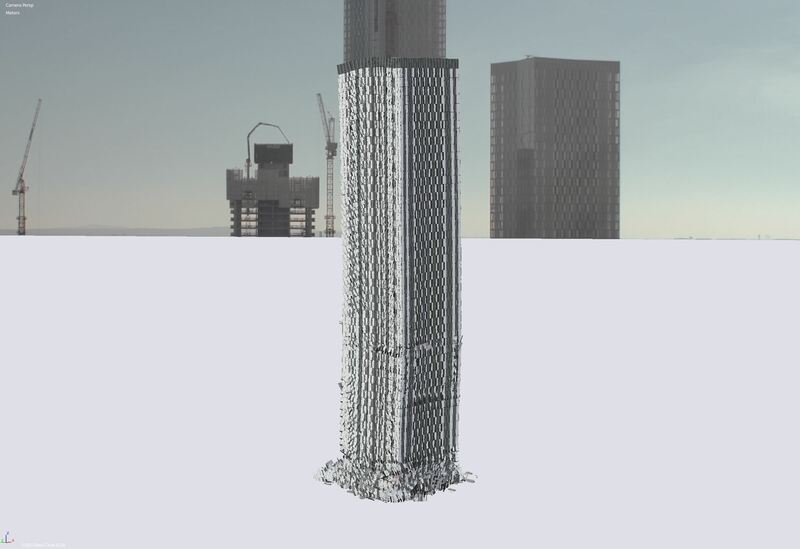 So here’s an ambitious glass skyscraper demolition using BCB and FM. 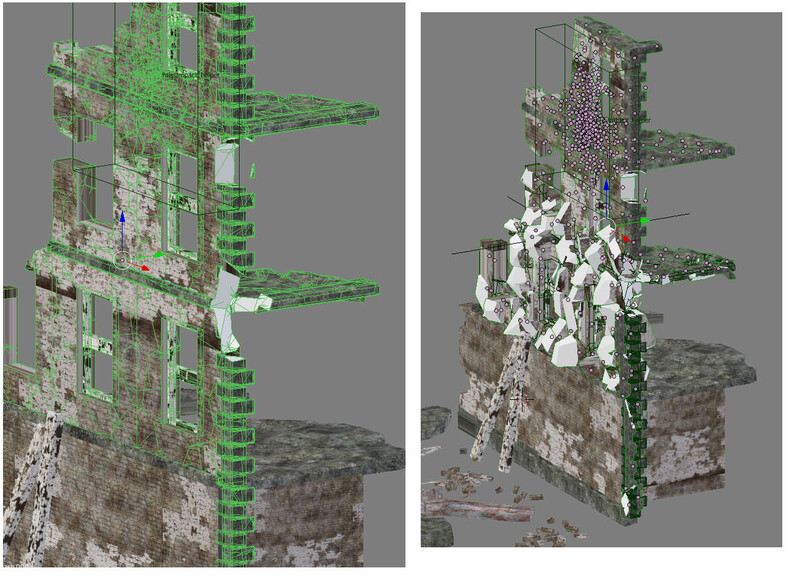 The simulation completes with just the bare RC slabs and columns structure. I did notice @Kai_Kostack multipass feature which may help? But not sure whether it is available, and how it should be used? Hi Arnold, as I said on YouTube, we haven’t released Multipass yet, it’s just not ready and too difficult to use. It’s also not compatible with the BCB, only the FM is supported. It’s not easy to fix a problem for such large sims because it is even slower in a debug build. You could send us a .blend but I’m not sure if we can debug that. So as a workaround I would recommend to refracture the model using a different seed and try again in the hope that it will work better then. Hi Kai - yes sorry about the double post! I think I’ve found a way through - I may have gone ‘over the top’ with all the fracturing and just need to do a little less. 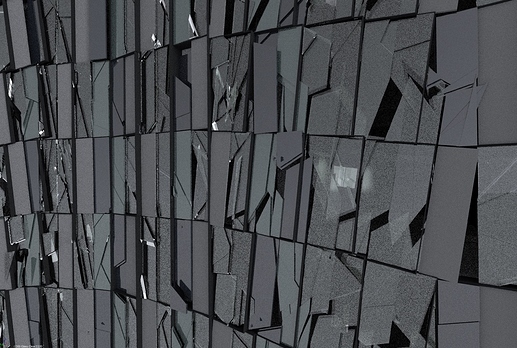 I’ve just run a sim overnight where I fractured the glass exterior as one object (2200 shards fast bisect) and this has completed. It doesn’t look quite as ‘glass shattery’ as the above but will certainly do for for now. Thanks for your help! One day I’ll post a result! First off i want to say thank you for all the hard work you’ve put into this and all the support you’ve given the community, its truly amazing. 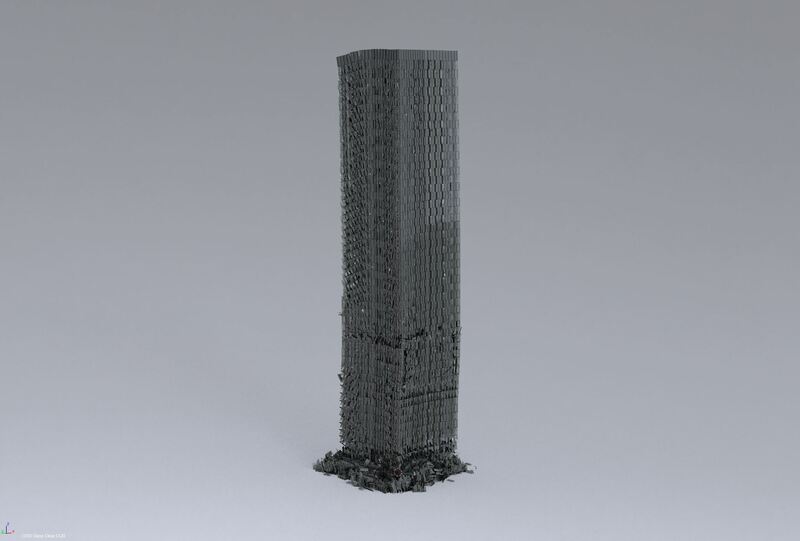 I have been using the build for a few weeks now and i cant seem to get smooth objects shaded correctly. 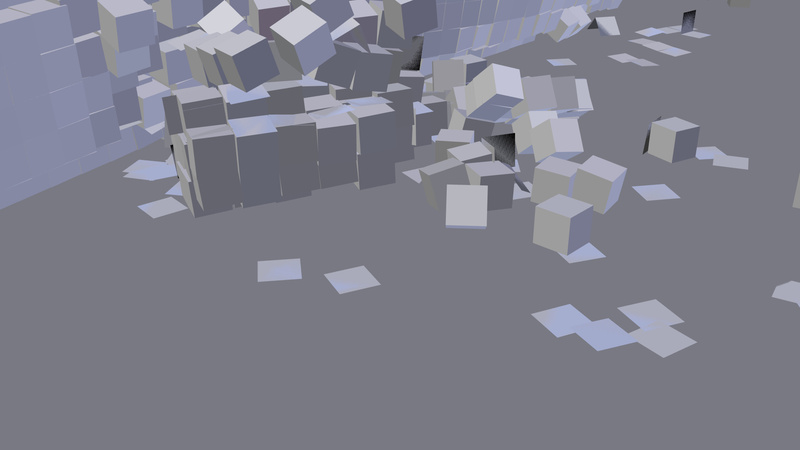 I was able to fracture a cylinder fine, rendered out perfect. But I’ve set up a scene with an egg(Slightly extruded sphere). its been solidified so it is a thin shell. 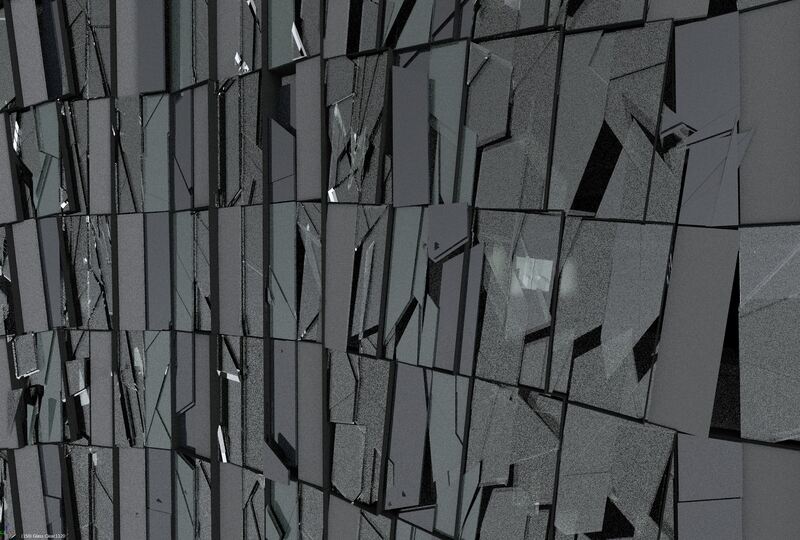 Every setting i tried for Auto merge and Auto hide seems to either leave me with artifacts on the mesh or the Cracks in between the shards that appear and disappear as the mesh moves slightly. Cant seem to find a value where its set to enough distance for it to be without artifacts or without cracks showing. I’ve also tried Key-framing the auto merge and auto hide values with no luck. (Actually seems like it takes the value that the render initializes with and does not respect the key-frames. but i cant be sure). Anyway, I’ve included my scene and a test render to show what i mean(I’m a new user so i cant upload directly). I’ve rendered this thing probably 15 times with different values and still cant figure it out. it will look right in the view port but not in final animation. There is also a Flip Fluid Sim in the File, Obviously the bakes could not be included but just check it out without the fluid. Fix normals is enabled. Thanks for the post henri_grimm and sorry about a delayed response. Can you update us on your progress please? Then we’ll post a response to the latest information you have. You might have even solved it already hopefully! ; ) Thanks. Hey all, I’m still working on the most current docs for 2.79x, which is still alive and well with users. There are many features in the control panels and addon that are not documented yet. So if you see any setting that is undocumented please feel free to ask about it here if you are wanting to use it. I’ll keep an eye on this and I’ll have the new docs up soon.